Looking for unique jewellery with a surprising colour? Coloured gems have a beautiful symbolic value and give an exceptional look to your jewellery. Choose your favourite jewellery with a valuable red ruby, blue sapphire or green emerald here. If after purchase the ring size appears to be too large or too small, it is for most ring designs no problem to adjust it afterwards. The exact amount charged for the size adjustment depends on the ring design, the material, and the number of sizes the ring needs to be adjusted. Why buy jewellery with a ruby? The red ruby is a precious gem that has been loved since ancient times. In the Middle Ages, this beautiful stone was even thought to have magical powers. It is said that the ruby, which is also the birthstone for the month of July, activates the heart and stimulates passion. That is why a ring with a ruby is also exceptionally suitable as an engagement ring. 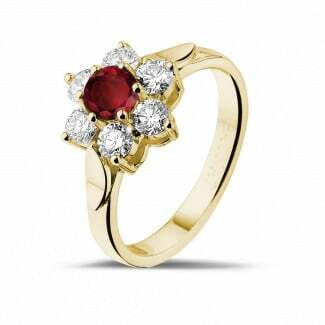 Moreover, at BAUNAT, you can choose from gold jewellery with a ruby in white gold, yellow gold or red gold. Hypoallergenic platinum is also one of the choices. 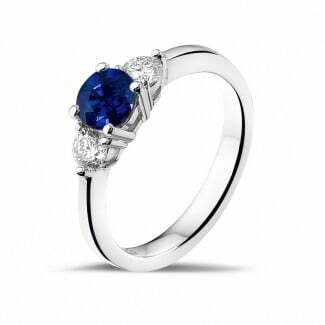 Why buy jewellery with a sapphire? Jewellery with a sapphire has something regal to it. Just think of the engagement ring of the late Princess Diana, which now adorns the finger of Kate Middleton. Various sapphires are also included in the British crown jewels. 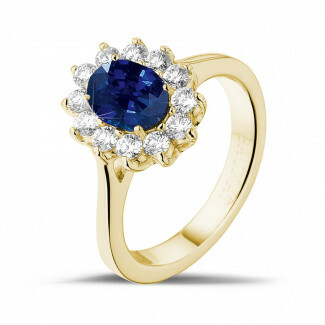 Gold jewellery with a sapphire can easily be combined with just about any style. 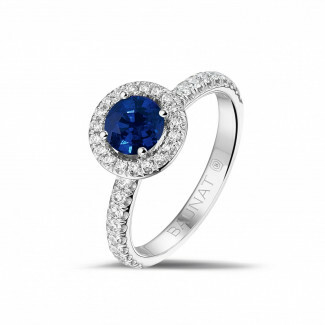 Did you know that the sapphire is the birthstone for the month of September? Earrings with a sapphire or a diamond necklace with a beautiful pear-shaped sapphire are the perfect gift for a special lady having a birthday in September. 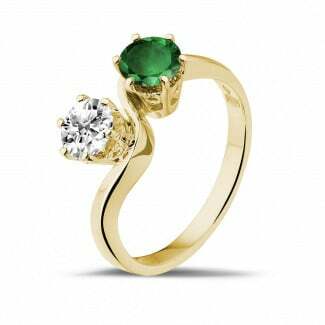 Why buy jewellery with an emerald? 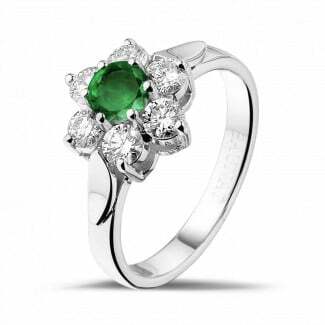 The emerald cannot be left from the list of royal gems. Almost every historical treasure contains emeralds. Jewels with a green emerald are supposed to bring luck to the wearer. Are you looking for a suitable gift for a lady who has a birthday in the month of May? Buy her golden jewellery with her birthstone, the emerald. Do you have a preference for jewels with coloured gems, but have you not found the jewellery you are looking for in this range? Then choose customization. Contact the experts at BAUNAT via telephone, e-mail or chat for additional information.